We have an extensive range of new bikes for all ages, and for all sorts of uses. We fully assemble the bikes ourselves and hand them over to you with the care and love they deserve. 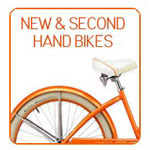 We have an ever changing selection of good second hand bikes, all checked and serviced by ourselves. Please come in and see, or call to see if we have what you want in stock. We pay cash for second hand bicycles. Proof of identity is essential. Tandem Bicycle and trikes for teens and adults available for hire. Deposit and proof of ID required! 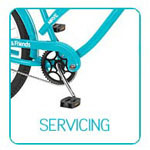 We offer a full service and TLC facility for your bike. 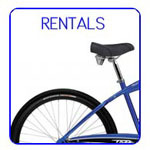 We can collect and return your bike. Please call 01424 44 40 13 for details.